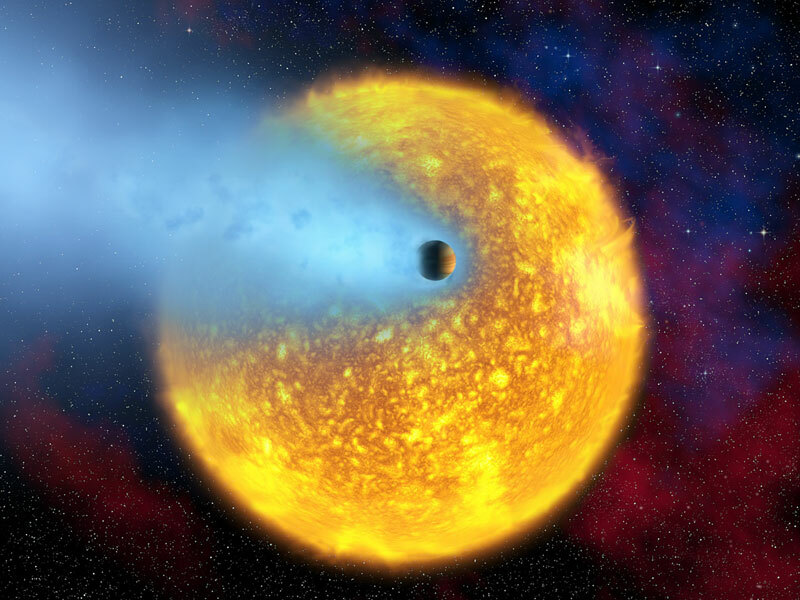 Explanation: Planet HD 209458b is evaporating. It is so close to its parent star that its heated atmosphere is simply expanding away into space. Some astronomers studying this distant planetary system now believe they have detected water vapor among the gases being liberated. This controversial claim, if true, would mark the first instance of planetary water beyond our Solar System, and indicate anew that life might be sustainable elsewhere in the universe. HD 209458b is known as a hot Jupiter type system because it involves a Jupiter-type planet in a Mercury-type orbit. Although spectroscopic observations from the Hubble Space Telescope are the basis for the water detection claim, the planetary system is too small and faint to image. 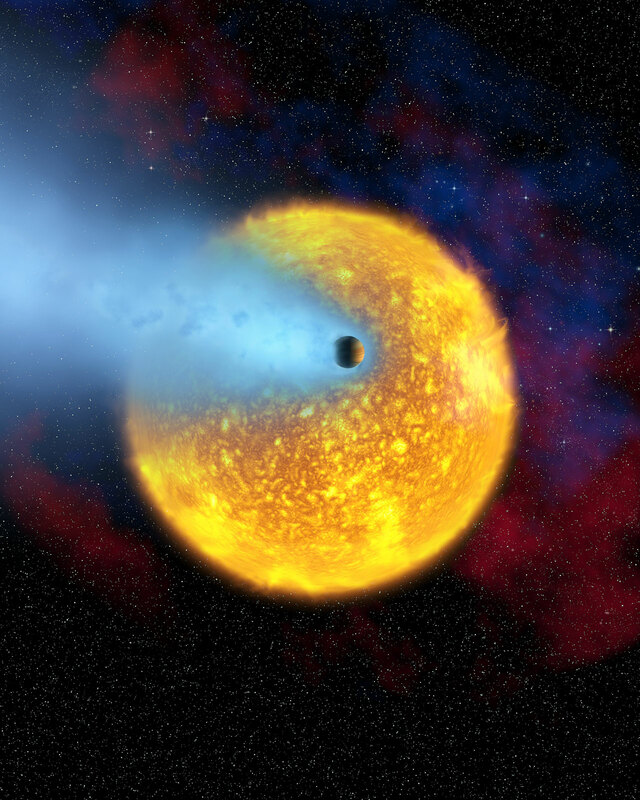 Therefore, an artist's impression of the HD 209458b system is shown above. Research into the atmospheric composition of HD 209458b and other extrasolar planets is continuing.